Since we want everyone to enjoy our quality door fittings, we have decided at Deurklinkenshop that all orders from € 50 will be sent completely FREE to Belgium & the Netherlands !!! That way we can keep the purchase of your door handles even lower. 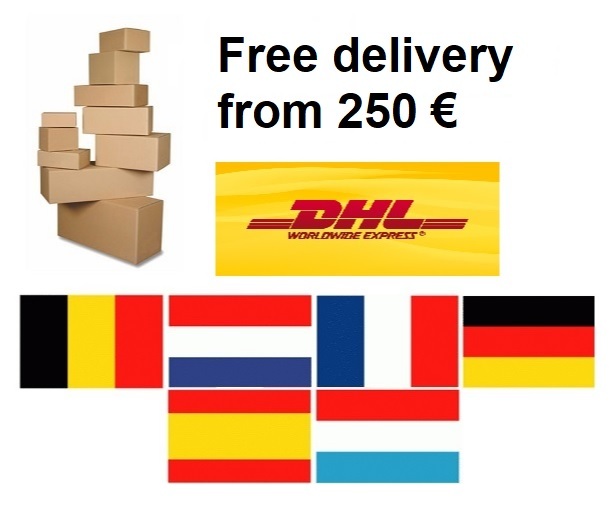 For deliveries in the rest of Europe we work with DHL Express to deliver your order quickly and with good service. As the transport costs for this are considerably higher, the threshold for free shipping is € 250 (incl. VAT). These shipping costs also include a free return label. Don't like the article? Then you can send it back for free. Is your country not listed or do you want to order from outside Europe? Feel free to give us a call and we will be happy to let you know the options.